It’s debatable how useful this trick might be (especially from a security or privacy standpoint,) but it’s still an interesting trick. Google began to implement SSL on its search engine back in 2010. First on its own domain name, then as a mandatory feature for logged in Google users, and after a while for all users on the main Google Search website. Workarounds to use HTTP instead of HTTPS on Google Search existed ever since the company began implementing HTTPS on its properties but lately most of them were either retired by Google or switched to use HTTPS instead. There is however still one option left for users who prefer to conduct Google searches using HTTP connections. 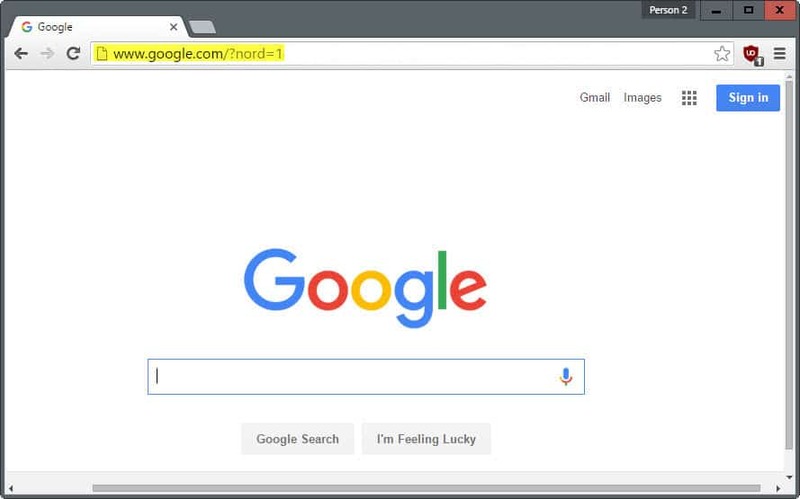 If you load http://www.google.com/?nord=1 in your browser of choice, you will notice that Google Search is loaded over HTTP. This enables you to run any search on Google using HTTP connections. The parameter nord=1 is why that is the case, and why Google does not redirect you automatically to the HTTPS version of the page. Nord, which stands for No Redirection, is usually being used to stop Google from redirecting you to local search engines. This may happen automatically when you open google.com for instance from a location outside the United States. If you use the parameter, Google won’t redirect you and you can start to run your searches on the main Google Search property. You are probably wondering why someone would want to use HTTP instead of HTTPS when running Google searches. It is not beneficial from a privacy or security point of view, but there are benefits to using HTTP. For instance, you may notice a speed increase when connecting to Google when using HTTP instead of HTTPS. This is especially noticeable on the first connection attempt and less so afterwards as information get cached to speed up the connection. Another reason are environments where all network traffic flows through a filter first that may block traffic that cannot be identified because of the use of HTTPS and the domain not being on a whitelist of sorts. It may also be useful in edge-cases where HTTPS connections to Google are very slow or unstable while HTTP connections work fine. This entry was posted on Tuesday, October 27th, 2015 at 10:23 am	and is filed under tech tips. You can follow any responses to this entry through the RSS 2.0 feed. Both comments and pings are currently closed.